Passion by Martin Berasategui is not available through our online partner for your requested time. 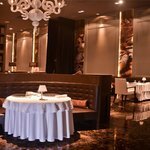 Description: Passion by Martin Berasategui is listed as one of the best restaurants in the Riviera Maya and Mexico. 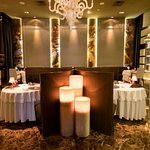 It is a true reflection of the unique cuisine of chef Spanish with 7 Michelin stars It features the prestigious recognition awarded 5 Diamonds by AAA. Also has the recognition of Excellence from Wine Spectator Magazine for its large selection of wines. I am not a rich guy nor even a foodie. But when traveling, I like to seek out highly acclaimed restaurants at which to splurge (Pujol in Mexico City; Maido and Astrid y Gaston in Lima; Picasso in Las Vegas, etc.). 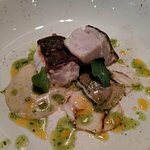 Based on its AAA 5-diamond rating, Passion by Martin Berasategui was my choice in Playa del Carmen (all my other food was at an all-inclusive resort, not the one containing Passion). With splendid flavors and friendly service, primarily by a waiter named Juan, Passion satisfied on par with my other splurge dinners. 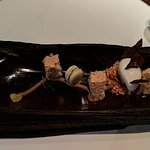 I can't compare exactly, other than bite-by-bite--and I don't think the dishes here were routinely as inventive as at Maido--but I loved everything I tasted. And with a 7-course tasting menu for $98, it was a relative bargain compared with other prix fixe meals elsewhere. Keep in mind, it's mostly a series of small plates; you may well long for some tacos afterward. But places like Passion serve to remind that flavors exist far beyond the norm, and in that way, my visit was top notch. A MUST!!!! Go for the experiece! Great food with AMAZING service! 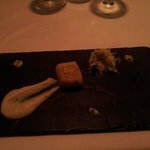 For a fancy place with tasting menu dinner, it is quite inexpensive!! expect dinner to be 2.5 to 3 hours long. An unforgettable experience! 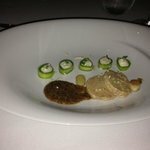 A mixed group including vegetarians had a good experience, we all had the tasting menu. One guest requested lamb which the waiter discussed was a good option and to be told later they had run out, at this point the chef should have come out and discussed the options available. The dessert was disappointing, just seemed average. 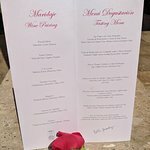 The wine pairing wasn't good even enough, we gave back feedback it didn't seem to register and even some glasses had just been sipped on, alternatives should have been suggested. As we had discovered his fantastic cuisine in San Sebastian (Spain), we were very excited to discover that he has also a restaurant here in Playa del Carmen. We spent a really perfect evening. 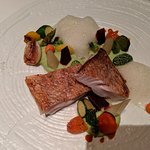 Everything was just incredible, starting from the modernity of the restaurant, the kindness and professionalism of the staff (thanks Juan), the perfection of the 7 course tasting menu and ending with a short meet & great with the cooking chef from Argentinia. 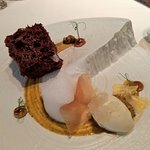 Been to Passion by Martin Berasategui? Share your experiences!